People are always looking for ways to lose weight as quickly and efficient as possible. Even with a load of options on the table in today’s market, losing weight is still harder than it looks. 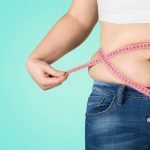 Most people use shakes, food plans, and supplements to help lose weight, but people should consider a different option which is called alpha lipoic acid or ALA.
Now, many people have never heard about alpha lipoic acid, but it should be considered a great weight loss option for people who are overweight and obese. Do not be concerned about the word “acid” because many fruits have acids within them that help regulate the body, and alpha lipoic acid is no different in that sense. As a natural body producer, alpha lipoic acid is classified as an antioxidant. Many individuals use supplementation of alpha lipoic acid to aid the body because of its help against inflammation. Also, in some cases, alpha lipoic acid can have positive showings against thyroid conditions that harm the human body. Alpha lipoic acid is made from mitochondria, which is a cell structure that has powerful functions inside the human body. Every cell within the body has alpha lipoic acid because cells have to be able to change glucose into energy. Lastly, since alpha lipoic acid is both a fat and water-soluble substance, the body has even more opportunities for it to impact individuals in a healthy way. ALA can be found in foods such as asparagus, carrots, red meats, and beets among other food items. Alpha lipoic acid has many key benefits that support health within the body. As stated earlier, it is an anti-inflammatory. This has paid dividends when protecting the brain from further cognitive damage. Furthermore, alpha lipoic acid enhances the barrier between blood and the brain. Keeping both these things apart is crucial to keeping a person alive and functioning appropriately. Having a safe blood-brain barrier can fend off cell issues against Graves’ Disease and Hashimoto’s Thyroiditis. This will prevent what is called a “leaky brain” where blood gets into the brain matter causing a lot of havoc. Sticking with brain injuries, alpha lipoic acid can actually help someone during a traumatic event like a car accident. Alpha lipoic acid has been shown to reduce harmful fluids that try to enter the brain. Weight loss also happens with the help of alpha lipoic acid. In the short-term, alpha lipoic acid shows positive effects with weight loss, but do not expect to lose a lot of weight fast with this method. This is a process that is effective if people are patient and allow ALA to work. If a lung injury happens to an individual, doctors use alpha lipoic acid for the recovery process. Since it is an anti-inflammatory, alpha lipoic acid helps relieve lung tissue with the antioxidants playing a big role in the process. Lastly, alpha lipoic acid relieves stress that is oxidative and cleanses heavy metals, like lead and mercury, that enter the human body for whatever the reason. Other studies have shown that ALA can help limit the aging process. Many people have heard these words before, but improving the mental functioning of the elderly is one thing alpha lipoic acid does best. Even with all these benefits from ALA, this is only the beginning. The cure that alpha lipoic acid creates continues to find more and more uses to help the human race. 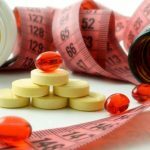 Weight loss is one of the fundamental advantages when using alpha lipoic acid and is the first focus in this article. With type 2 diabetes on the rise and obesity following suit, the human race needs to find safe and effective ways to lose weight and stay healthy. That is why ALA should be considered as a safe reduction to an individual’s calorie count. Since ALA has vitamin-like functions, its ability to work with cells directly helps with the control of blood sugar, the health of the cardiovascular system, and the reduction of diabetic issues. Also, boosting a person’s metabolism helps to reduce the intake of food, burning fat, and allows others to live a happier, healthier lifestyle. 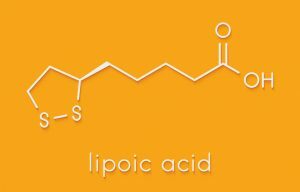 The best way to classify alpha lipoic acid is by sharing its effects alongside omega-3 fatty acids, which are in foods like salmon, tuna, kale, and anchovies. With these two powerful substances working together, individuals have seen positive weight loss results like the loss of body weight, a smaller measurement size around the hips and arms, and an improved basal metabolism rate. 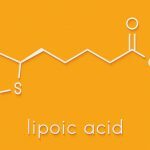 From the information stated earlier, alpha lipoic acid does not show significant results when losing weight, but it can help drop the extra pounds. One study found that after 10 weeks, individuals, on average, where able to lose an additional 3 pounds added onto the other weight that was lost during a diet. This proves that ALA can be added with a dietary plan to get overweight and obese individuals to where they want to be. ALA is extremely safe because it is already found in the human body, so this antioxidant is a no-brainer to support dieters around the world. Thyroid eye disease is able to be combated with the use of alpha lipoic acid. What ALA does is weaken the creation of oxygen species that create tumors which effect vision in a human’s eye. By slowing the production, alpha lipoic acid has not been proven to reverse the effects, but rather limit them. Also, patients who are in the process of radiation treatment during cancer have the opportunity to use alpha lipoic acid. ALA actually has been proven to protecting the thyroid and keeping it clear from radiation damage. Furthermore, ALA is thought of as a cancer remedy by to slow the spread of cancer in the body. 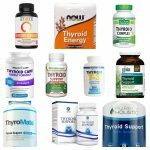 Hypothyroidism is another health concern for many people across the world today. ALA has shown that it can protect the arteries of the body, even when hypothyroidism is at its worst. Also, it can improve the arteries, making them better than before. 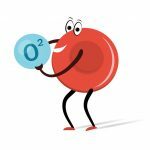 This has been proven through measured studies through ultrasound that show a decline of free radicals in the blood, helping the arteries in the long run. Lastly, Burning Mouth Syndrome, or BMS, is a condition that can happen with women in their 40s and 50s. Symptoms include a burning sensation in areas like the tongue and lips. ALA has been accepted as treatment for this condition when thyroid hormones are very low. With all the positive effects that this substance has, there are also some side effects that you need to be aware of. 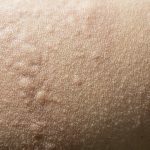 Any kind of allergic reaction is means for immediate emergency attention. Some of the signs include: swelling of the lips, throat, and tongue, hives, and breathing difficulties. Make sure that you stop taking alpha lipoic acid if any of the signs start to present themselves. Furthermore, if you are dealing with rashes, nausea, low blood sugar, and/or light-headedness, halt your consumption of ALA, too. Negative side effects can also be paired with alpha lipoic acid when women are pregnant or feeding their child breastmilk. The reasoning involves the fact that there has not be a lot of research done to make a correct judgement call, so people should ere on the side of caution with ALA before and after childbirth. Also, women who have diabetes and/or consume alcohol may be exposed to negative toxins when using ALA. Lastly, some have suggested that using ALA along with chemotherapy may prevent peripheral neuropathy. With all these claims and cautions, it is best to consult your medical care provider to gather more information to help you make an educated decision because some studies have seen dividends, while others have seen the opposite side of the coin. Some have wondered if exercise will cause issues when taking alpha lipoic acid. This is not the case. Exercise has actually helped improve endurance alongside ALA. So, no matter what your exercise of choice is, from biking, running, walking, or playing some pick-up basketball with your friends, you can continue being active when using ALA. If you are concerned about other side effects, the Food and Drug Administration (FDA) has an entire list of the documented issues with ALA. Also, your doctor is a great resource who can fill you in on what they know, too. Lastly, if you do come upon any side effects when taking alpha lipoic acid, make sure to report the incident to the FDA. You can do this in a few ways. Call them at 1-800-FDA-1088, fill out an online report at https://www.accessdata.fda.gov/scripts/medwatch/index.cfm?action=reporting.home, or print off a form on the same website to fax or mail back to the FDA. Reporting is one of the ways that the FDA works to fix quality control problems with products like alpha lipoic acid. When taking alpha lipoic acid, it should be taken on an empty stomach, which can be expressed as 2 hours after eating any food. Also, it should be mentioned that if an individual is beginning to take ALA and takes oral drugs or insulin, too, these doses may have to be adjusted for the health of the patient moving forward. 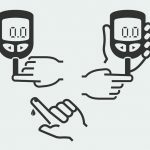 The reason is that ALA may prove to be effective when reducing blood sugar readings, but these levels should still be reviewed either way. Over the years, people who are dealing with Hashimoto’s or hypothyroidism have been taking levothyroxine to fend against any negative effects. Now, with ALA bursting onto the scene, tests are being done to see if it can be taken at the same time. A study proved that ALA taken alongside levothyroxine limited the conversion rate of T4 to T3. That is why some doctors tell their patients to take these two substances 4 hours apart from one another. 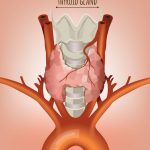 Of course, the dosage varies from patient to patient, but on average, 600 mg of alpha lipoic acid is a normal occurrence when dealing with thyroid issues. For diabetic patients, 300 mg of ALA can be expected. However, if ALA is not being used as a medical treatment, individuals can take anywhere from 50 to 300 mg per day to help with any inflammatory issues or 100 to 300 mg paired with therapy. Alpha lipoic acid has been proven to help with weight loss and thyroid health, primarily in women. This added substance is giving individuals a boost when they need it the most, from something that is made within the human body already. Time will only tell what added benefits researchers will track down proving the positive help alpha lipoic acid gives individuals around the world. After one month my HbA1c 6.67 and all fasting blood sugar and postprandial were normal. I am fasting also Monday and Thursday with 13,14,15 from Arabic month as Islamic fasting. Your opinion and help.